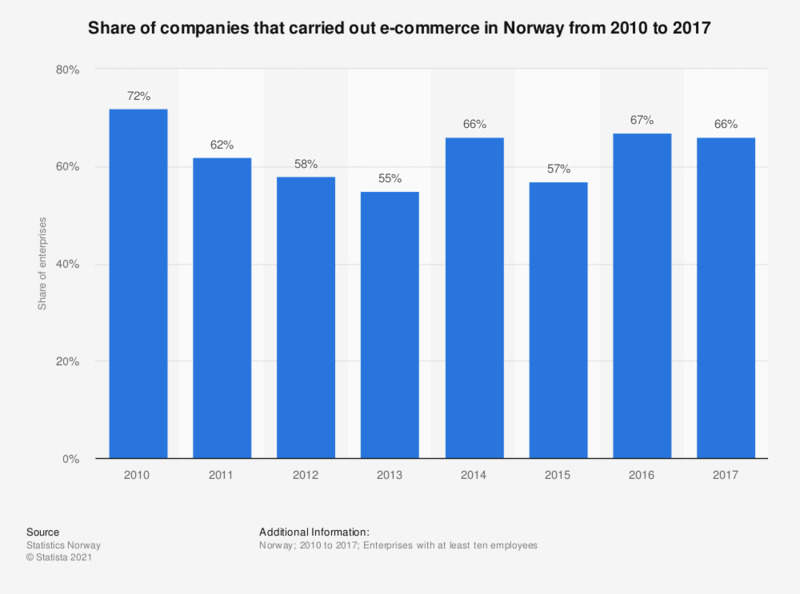 This statistic shows the share of companies in Norway that carried out e-commerce from 2012 to 2016. During the time under consideration, the e-commerce usage among companies increased from 55 percent in 2013 to 67 percent as of 2016. Does your business sell products and/or services on the internet? How evolved is your organisation to meet the demands of today's digital customer?